Unipept is an open source web application developed at Ghent University that is designed for metaproteomics data analysis with a focus on interactive datavisualizations. Unipept is powered by an index containing all UniProt entries, a tweaked version of the NCBI taxonomy and a custom lowest common ancestor algorithm. This combination enables a blazingly fast biodiversity analysis of large and complex metaproteome samples. This functionality is also available via an API and a set of command line tools. Next to these core functions, Unipept also has a tool for selecting unique peptides for targeted proteomics and for comparing genomes based on peptide similarity. With tryptic peptide analysis, you can submit a single tryptic peptide that can be 5 to 50 residues long. The application will respond with a list of all UniProt entries wherein the peptide was found along with a complete taxonomic lineage derived from the NCBI taxonomy. 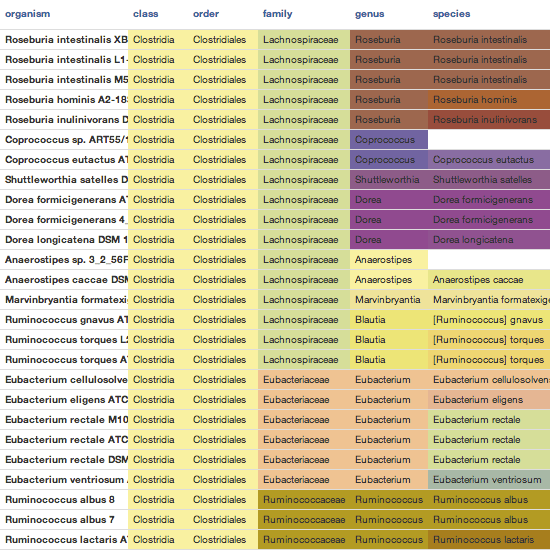 These lineages are presented as a comprehensible table and using an interactive tree view. Metaproteomics analysis helps you analyze lists of tryptic peptides, e.g. extracted from an environmental sample using shotgun tandem mass spectrometric methods. Of these peptides, the lowest common ancestors (LCA) will be calculated. These LCAs will be bundled and displayed in an interactive treemap giving you insight into the biodiversity of your sample. The unique peptide finder is an interactive web application that lets you find unique tryptic peptides for a species or genus of your choice. The user friendly application is powered by the UniProt proteomes with the possibility of adding your genomes and lets you download lists of unique peptides, which can be used for targeted proteomics experiments. Peptidome clustering builds on the foundations of the user friendly unique peptide finder interface to let you select a set of genomes of your choice, and calculate similarities between them based on their tryptic peptidome. The result is shown as a similarity matrix and a phylogenetic tree. Unipept offers most of its peptide analysis features as a web service. This enables the integration of Unipept functionality into other applications and the creation of batch processing scripts. These documentation pages describe the available features of the API, how to access them and plenty examples. New The Unipept command line interface (CLI) is a wrapper around the Unipept API that offers an easy way to integrate Unipept functionality into your data processing pipelines and scripts. These pages cover installation and usage instructions, an overview of all available options and several use cases.